The normal approach when a music video director turns to making feature films is to tone down the approach that they built their name on, a somewhat curious decision but understandable in that the devices and effects that work over the span of a popular three and a half minute pop song aren't always the best options to tell a feature length story. But well regarded Hong Kong video director Susie Au has opted for a different approach altogether. Rather than surpress her stylistic urges she has further developed them, using every trick in her extensive book to try and create a new language of cinema. Rather than go for the tried and true she opts to push into new territory and while some may cry "foul" at her deconstruction of traditional narrative or "shallow" at her emphasis on image over exposition those who get this film are going to get it hard. With Ming Ming Au has attempted something I am, quite frankly, more than a little bit shocked has not been tried much before: she has taken the core elements of the traditional wuxia martial arts underworld and transposed them into a thoroughly contemporary and recognizable Hong Kong. 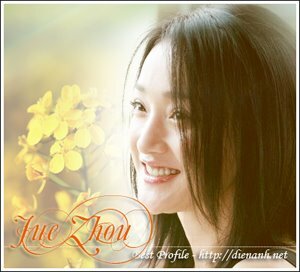 Zhou Xun stars in a double role, playing both the titular Ming Ming and, later in the film, Ming Ming's lookalike Nana. Ming Ming is a beautiful young girl and gifted martial artist - her favored weapon being flicked and flung beads - who has fallen in love with D (Daniel Wu), a drifting fighter for hire currently in the employ of local gangster Brother Cat. D's only goal in life is to somehow come up with five million Hong Kong dollars and travel to a town in remote northern China. Being smitten as she is Ming Ming immediately liberates the five million dollars - along with a prized wooden chest - from Brother Cat, hoping to run away with D. But D has disappeared, leaving a string of jilted lovers behind. And Brother Cat, less than pleased with Ming Ming, has sent a squad of goons after Ming Ming. In the chase Ming Ming's accomplice, Tu, accidentally takes up with Nana - Ming Ming's virtual double and one of the aforementioned jilted lovers - and Ming Ming, recognizing the value of a good decoy, opts to let Tu and Nana search for D on her behalf while she observes from a distance. Ming Ming is an utterly unique film, unlike anything I have ever seen come out of Hong Kong. It is too pop by far for the arthouse purists, too abstract and challenging for the martial arts fanboys. By refusing to conform to the normal rules of engagement Au has created a film that will likely have a fair amount of trouble finding its audience simply because it defies easy marketing: originaility never boxes up well. The story is nothing that hasn't been seen before, that part of the film relies on formulas as old as proverbial hills, but when it comes to presentation there is arguably nobody else quite like Au working anywhere in the world today. The film opens with a montage that nods to the Japanese exploitation films of the 70s: a riot of color, style and rapid fire editing set to a blisteringly cool soundtrack. The images burst from the screen as Au breaks out every trick in the editing book to maximize the effect. While the overall approach does tone down some as the film progresses - there has to be room for some narrative, after all - in the early going Au is creating pure visual jazz, constantly deconstructing and riffing on her own images. Au's technical prowess is nothing short of frightening, every frame is flawlessly lit and composed, the sound design is rich with textures, and she has a few signature touches that are immediately and obviously her own. The temptation is clearly here to label Ming Ming as nothing more than an excercise in style over substance but I resist this urge for three reasons. First, there are rare occassions when style can be substance and I believe this is one of those occassions. This film was made the way it was for a reason and it is no less valid than a film that chooses to stick tight to a traditional narrative arc. Second, Au has an uncanny ability to tell a coherent story purely through visuals. She delivers it in fragments cut together in shards of sound, light and memory but it works anyway and works well. Too often film opts to simply tell us a story in the same way we would be told a story on the printed page neglecting the fact that film is a medium able to appeal to our other senses and faculties as well. Au hasn't abandoned her story or characters by taking this particular approach, she has simply presented them to us in a different way. And third, the film works because it has an excellent cast of performers, every one of whom is able to hold on to the core humanity of their characters in the midst of all the flash. Zhou Xun gives two powerful and distinct performances as both Ming Ming and Nana while Daniel Wu presents a much different side of himself than what we usually see of him on screen, turning in his best performance since One Nite In Mongkok in the process. Ming Ming isn't a flawless film - it drags some in the midsection and arguably runs just a little longer than it needs to. It is certainly a film that will have its share of detractors. But it is undeniably a powerful, impressive piece of work, one that immediately establishes Susie Au as an entirely unique talent on the Hong Kong and world scene. Very much worth a look.